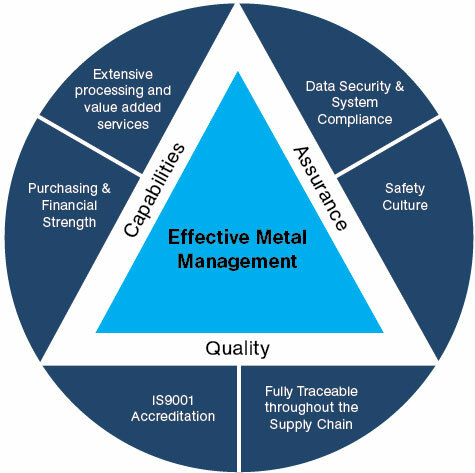 High Integrity Metals is a division of the Amari Copper Alloys Group and is part of the largest ferrous and non ferrous stockholding company in Europe. We have locations based in the North West, Midlands and South West, which allows us to offer a comprehensive range of Stainless Steel, Carbon & Mild Steel, Aluminium, Brass, Bronze, Copper and High Integrity Metals in a variety of forms and sections. Services we provide at these sites include manufacturing, processing and stockholding in our 400,000 square feet of distribution facilities. Our dedicated team of specialists can provide customers with unrivalled support and service to meet specific and unique requirements. As a result, we can source hard to find materials and offer a wealth of experience that covers a wide range of requirements. We currently supply and support: subcontractors, first and second tier civil and defence contractors working in decommissioning and new build projects within the nuclear industry. Our highly trained sales team provide the first point of contact for all your nuclear enquiries. They will take full ownership of any enquiry and become your direct point of contact, ensuring customer satisfaction. We know delivering great services and products comes at a cost, the challenge is to reduce waste and its cost where we can whilst retaining high standards and ensuring the quality of our services and products. We pride ourselves on our ability to supply chain manage your requirements.